Sore feet also referred to as foot pain can result from several causes ranging from accidental trauma to nerve conditions. The human foot combines mechanical complexity and structural strength. The ankle serves as foundation, shock absorber, and propulsion engine. The foot can sustain enormous pressure and provides flexibility and resiliency. 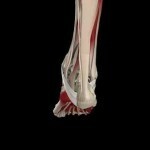 The foot and ankle combines to account for one-quarter of the bones that make up the human body, 26 to be exact. They also contain 33 joints, a network of blood vessels, nerves skin and soft tissue, and over 100 muscles, tendons and ligaments. All components work together to provide the body with support, balance and mobility. If any of the components are impaired, other parts of the body may suffer, and vise versa where problems in the rest of the body can also affect the feet. Common causes of sore feet include: ill-fitting shoes, foot trauma, muscle strain, flat feet (High and low arches may cause the foot to function biomechanically in such a way as to cause pain), torn ligaments, ingrown toenails, viruses, fungi, bacteria, blisters, corns and calluses. The muscle’s bursa and fascia of the foot can be strained by overstretching, overuse, overloading, bruising, or being cut such as in stepping on a sharp object. The bursa cushions the bones, tendons and/or muscles around the joints whilst the fascia is soft tissues that act as a shock absorber. Achilles tendonitis is a painful incapacitating inflammation of the Achilles tendon (heel cord). The Achilles tendon gives us the ability to rise up on our toes, facilitating the act of walking. Any pain, strain or sprain to the ankle can result in sore feet. Ankle injuries usually involve a sudden, unexpected, loss of balance that results in a sharp twist of the ankle. A strain occurs when a muscle or tendon overstretches. A sprain, which is more serious, occurs when strong connective tissue that connects one bone to another (ligaments) become overstretched. Rheumatic conditions are any condition that can cause joint pain and can be characterized by inflammation and reduced function of connecting or supporting structures such as the joints, tendons, ligaments, bones and muscles. Symptoms usually involve stiffness, pain and swelling. Common rheumatic conditions include osteoporosis, rheumatoid arthritis, lupus, gout and vasculitis. The body’s bones protect and support internal organs, allow movement and create and store blood cells. Bone disorders can cause pain, tenderness, fracture and swelling of the feet and ankles which contain a significant amount of the body’s bones. Injury to the bones and joints of the foot can be caused by a single blow or twist to the foot, or also by repetitive trauma that can result in a stress fracture. A blunt-force injury may result not only in a bruise (contusion) injury but also damage to the primary and secondary structures (muscles and ligaments) of the foot. Direct blows to the foot can cause bruising, breaking of the skin, or even fracturing of bones. Valvular heart disease (VHD) refers to several diseases and disorders associated with the valves of the heart. VHD is caused by infection, congenital abnormalities, or heart damage brought on by the use of defective pharmaceutical drugs. People who slowly develop valvular heart disease may have few noticeable symptoms. However, as time progresses, other symptoms such as palpitations, rapid weight gain, chest pain, and/or swelling in the feet, ankles, or abdomen (edema) will manifest. The metatarsal region refers to the ball of the foot. Metatarsalgia is a burning sensation in the ball of the foot that can be either mild or severe, and can sometimes be a recurring problem.